Every property is different, and that’s why here at Baytree we stock different styles, colours and finishes to suit your needs. Our products are beautiful in proportion, symmetry and style. They will compliment the existing character and style of your home – whether period or contemporary, town or country. Whichever product you choose will give you an ever-lasting impression you will truly adore. Whilst being energy efficient and keeping heat loss to a minimum they provide excellent acoustic insulation. Significantly reducing noise transmission and manufactured to a high quality by using uPVC eco-friendly materials that are designed not to peel, crack or warp no matter what the weather. Our products surpass stringent security tests, with the latest high security protected hinges and extra strong locking systems for added peace of mind. By specifying the Baytree aesthetique uPVC Window System, you are guaranteed a range of beautifully designed products that meet or exceed industry accreditations. Its contemporary, yet elegant design coupled with a robust technical specification provides the perfect system for the discerning customer. It adds instant value with products that combine function, form and aesthetic appeal. Our range of timber windows is one of the most comprehensive selections that you are ever likely to find, all manufactured under one roof. All our timber windows tailor made by experienced craftsmen to ensure that they will give you years of trouble free pleasure. The beauty of timber is unsurpassable and if looked after will last for many generations and so we take great pride in every window we produce. Our timber window product range is suitable for heritage one-off projects through to commercial new build applications. Carrying accreditations for thermal performance, security and weather tightness, our windows can meet the most demanding specifications. 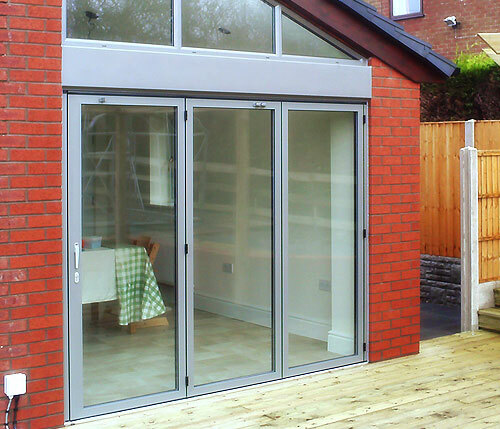 Aluminium is the ideal building material when it comes to windows, doors and conservatories. There have been significant advances in heat insulation, as well as security, colour choice and ease of installation. Aluminium is low in weight and high in strength, and needs the minimum of maintenance, it also looks great and enhances your property’s value. There are sound environmental reasons for selecting Aluminium. Over 90% of the aluminium used in building can be recycled and re-used, with scrap Aluminium remaining very valuable. This scrap Aluminium is up to 100% recyclable, which means that it has a valuable part to play in improving theenvironmental performance of the building industry. Standard colours are White, Black, Brown and Silver. 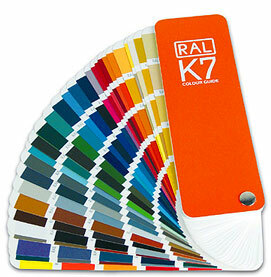 There are hundreds of colours in the RAL range and you can choose to have your windows/doors the same RAL colour inside and out, or different colours inside and out. · Improved thermal insulation – reduced heat loss saves you money on your heating bills. · Promotes passive solar heat gain – free heat from the sun passes easily through the glass helping to warm the home. · Improved energy efficiency – reduced need for heating helps to save energy and protect the environment. · More comfortable rooms – improved thermal insulation means fewer cold spots and drafts near windows and doors. · Less condensation – the inner surface of the glass stays warmer, reducing internal condensation and prolonging the life of your windows. Choosing a new generation high performance low-E glass such as Platinum Plus can help significantly reduce thermal losses compared to traditional low-E products. 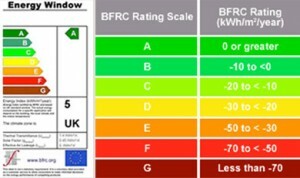 Argon gas filling a double-glazed unit further reduces heat loss. Low-iron glass Has been specially manufactured to be significantly clearer than standard glass allowing better transmission of solar heat and light. Increasing glass area by changing the frame design to maximise the proportion of glass in the window allows for greater area through which solar heat gain can be transmitted. Whether the cause is busy traffic, noisy neighbours or overhead airplanes, Baytree’s Eclispe esthetique provides excellent acoustic insulation, which will significantly reduce the noise transmission through your home. In addition to creating a quiet and relaxing environment, our ‘A’ rated products can also boost your energy efficiency and help bring down your carbon footprint. Our windows and doors are designed to surpass even the most stringent security tests with the latest features, such as high security protected hinges and extra strong locking systems for added peace of mind. Safety is equally important. We offer option features such as child safety restricted openings and egress hinges for quick and easy fire escape from upstairs rooms.